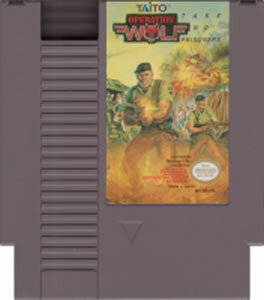 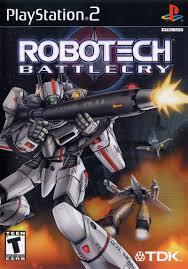 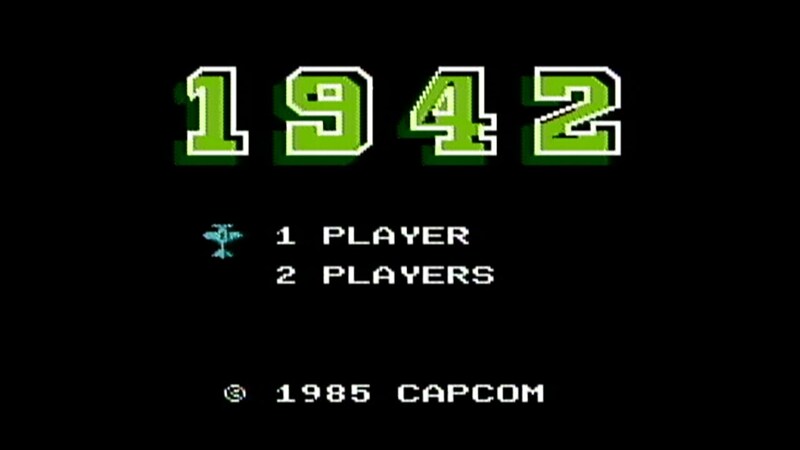 1942 was developed by Capcom and released for the NES in 1986, originally released as an arcade game in 1984. 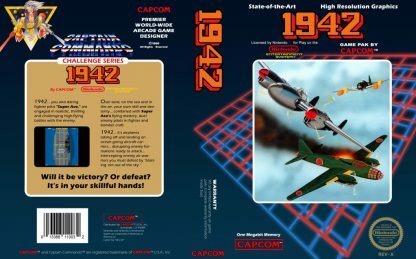 It was the first of six games of the 19XX series. 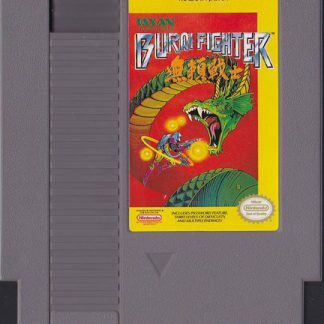 It was one of Capcom’s first major hits, passing the popularity of three of their previous games, which were Sonson, Pirate Ship Higemaru, and Vulgus. 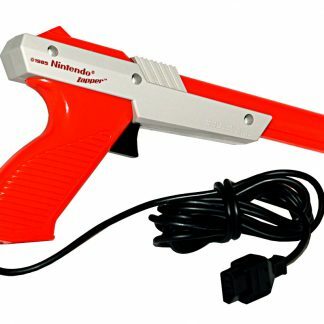 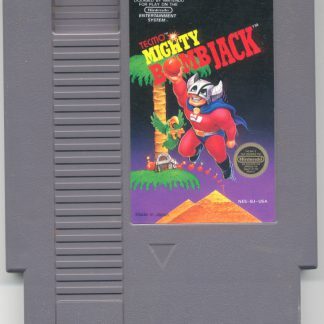 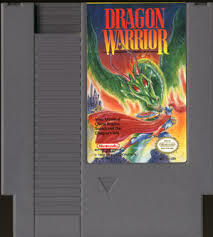 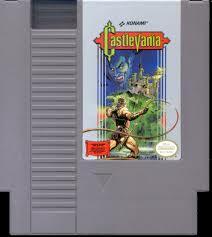 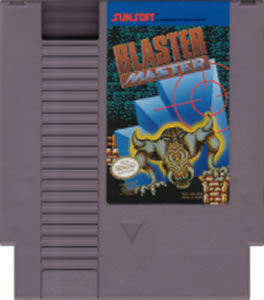 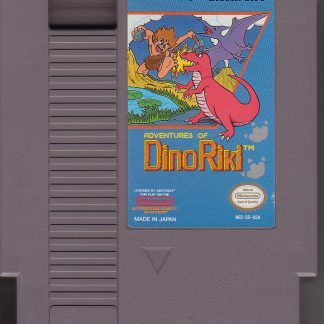 It hit number one in 1987 on the Euromax’s UK arcade chart, with Wonder Boy coming in at number two. 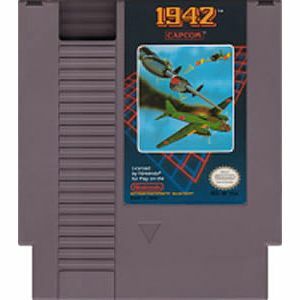 1942 became a hallmark game for the company during the arcade years. It also became Capcom’s first game to have successful sequels, having five from 87′ to 2000. 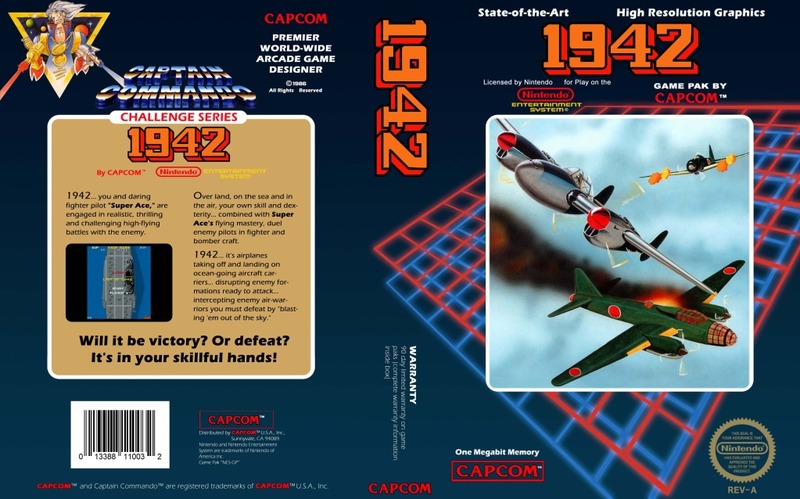 Later shooter games by Capcom had similar gameplay to 1942 like Varth: Operation Thunderstorm. 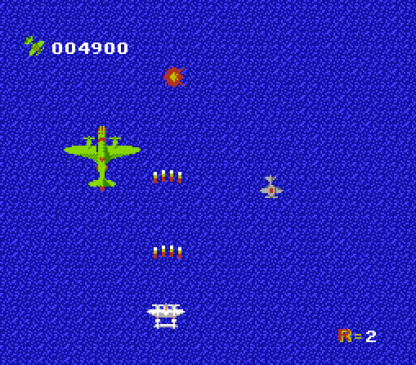 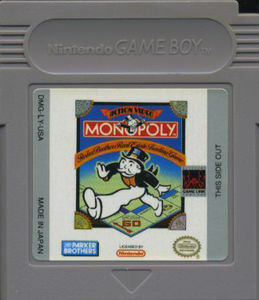 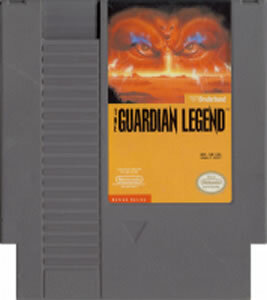 The game takes place during World War II at the Pacific theater. 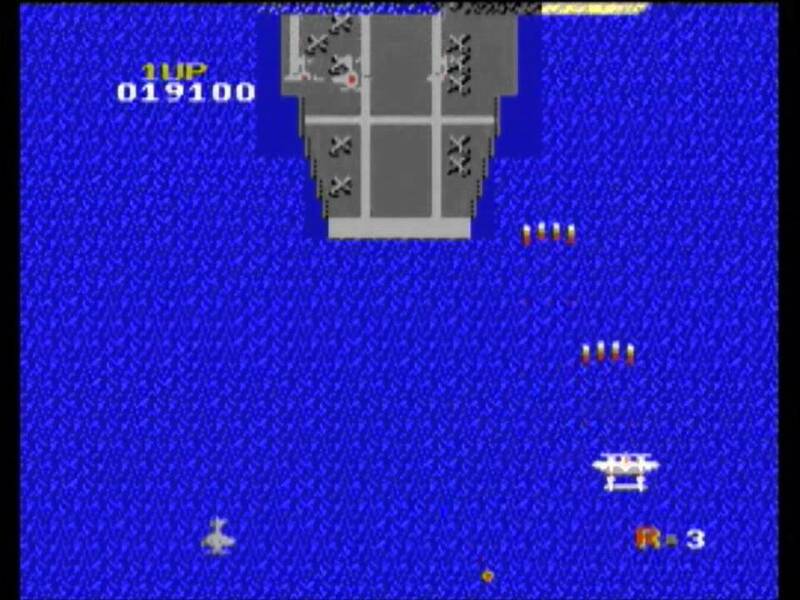 The players objective is to get to Tokyo and annihilate all of the Japanese flying fleet. 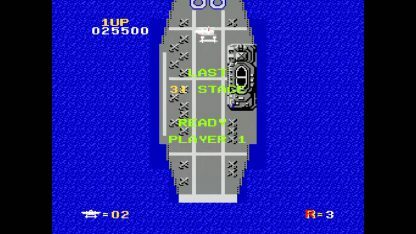 The plane the player uses is called Super Ace. While reaching Tokyo, you will need to shoot enemy planes while avoiding their fire. You can perform a vertical loop or barrel roll to avoid the fire. 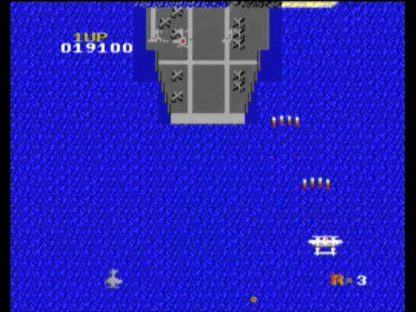 Power ups can be collected to improve your plane, with one of the powerups being two small fighters that will accompany you in the formation of Tip Tow.